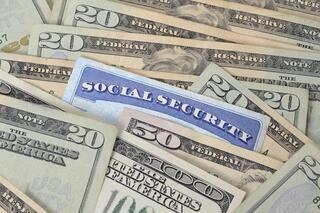 Nationwide Financial recently asked retired and non-retired consumers about Social Security. The study revealed that most of the non-retirees did not know or understand their future benefits or how they would fit into their broader retirement plans. Few had received advice on Social Security from a financial advisor—but nearly all of those who did receive such advice had followed it. This suggests a significant opportunity for financial advisors to educate their clients on Social Security and how it fits into a broader retirement plan. Where do workers get information about Social Security and how well do they understand it? Only 16% of future retirees contacted the Social Security Administration to determine their projected benefits. The majority of future retirees either used an online calculator (42%) to estimate their benefits or guessed (22%) at the amount. Many do not understand how the benefits are calculated, and 20% incorrectly believe that the Social Security Administration considers family medical history and life expectancy in determining the benefit amount. Future retirees expressed unease about their future benefits, and 68% worried that the Social Security program would run out of funding during their lifetime. Given the misunderstanding surrounding strategic Social Security planning, are financial advisors addressing the need? Only 32% of the surveyed future retirees are currently working with a financial advisor. Of those, only 52% had received advice on Social Security from their financial advisor, and roughly half of them said that they or a spouse had initiated the conversation—not the financial advisor. What did those future retirees do when they received advice on Social Security? A whopping 78% said they had followed the financial advisor's advice. An additional 19% said they had not followed the advice yet, but they planned to do so. What does all this mean for financial advisors? This study demonstrates that many future retirees' desire information and education about Social Security, few are receiving it, and nearly all would follow the recommendations of a financial advisor. In other words, there is a great opportunity to serve clients in an area of perceived need, knowing that your advice would be valued and, most likely, followed. The Strategic Social Security calculator in The Retirement Analysis Kit retirement planning software can help you provide this valuable advice to clients. By quickly entering essential client data, you can produce myriad scenarios to help your clients identify the best strategy for their situation. The scenarios generated in the Strategic Social Security calculator can be easily selected in the Gap Analysis and Quick Gap calculators, allowing you to fully integrate these scenarios into a broader retirement plan. Are you ready to help your clients understand and make the most of Social Security? Give TRAK a try today!